A sunrise represents new opportunities that happen each and every day. A sunrise represents new opportunities that happen each and every day. This image is set to remind us that there is always hope for our dreams and visions. Red Sand Beach in Hana is a cove with a lava jetty protecting an inner pool from ocean waves. The water in this protected cove is a mixture of fresh and salt water, representing how our own safe haven can exit by mixing our energies with others in our life. It is a rising sun over a protected haven. 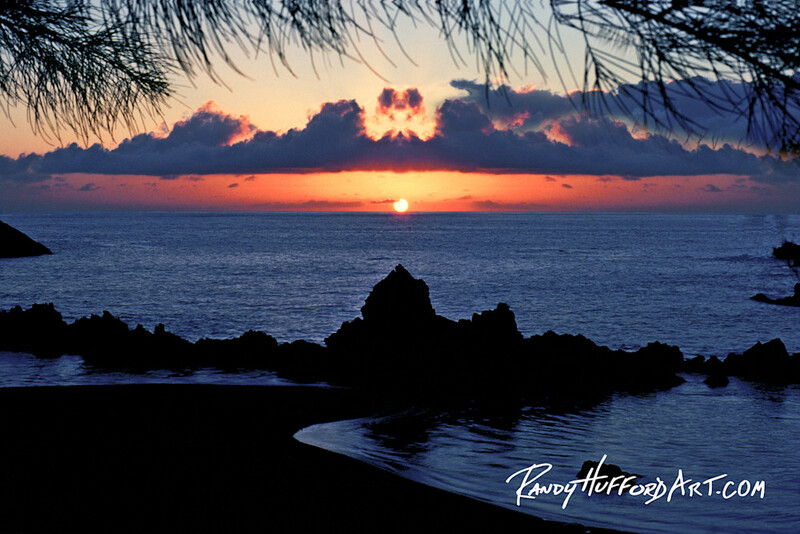 Sunrise from Red Sand Beach in Hana, Maui, Hawaii.